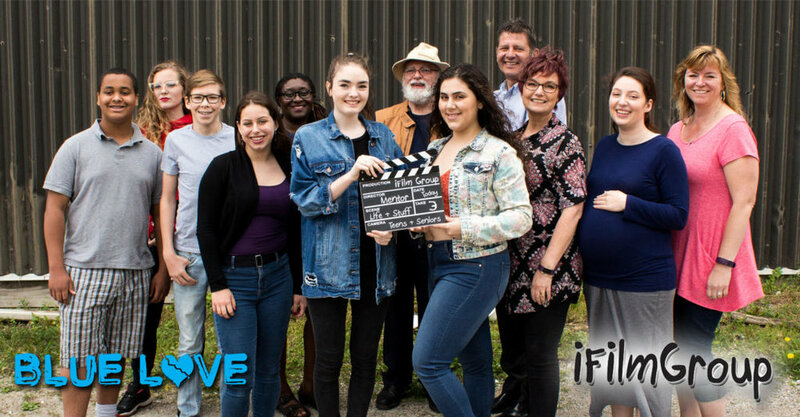 Some members of iFilmGroup participated in filming for the m & s Marshall Productions dramatic film "Blue Love" on Sunday, June 10th in St. Thomas. The film is directed by iFilmGroup's co-founder Matthew Marshall, also co-writer of the script. The scene was an outdoor scene that took place on a local business property. The setting was a rundown part of the city on the turf of a group of street girls. The group of girls was made up of iFilmGroup members Anna Victoria, Maysee Mclean and Chassidy Fleming. The scene was an exchange between the girls and the film's lead actress and iFilmGroup's acting coach Helena Rose. Rose is the other half of the team that wrote the script. The scene included a number of extras which included a few other iFilmGroup members. Don Hickey the Community Engagement Manager and co-founder of iFilmGroup was in attendance for the filming, as was iFilmGroup's still-photographer Reza Khazaee who helped out on the tech team for the film for the day. It was another successful filming date for Marshall and his m & s Marshall Production, as well for the iFilmGroup team. Fun was had by all. 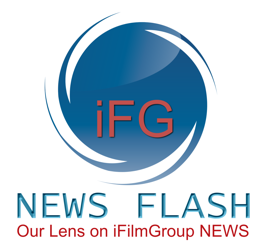 More filming dates for the film are in the works and will included more of the iFilmGroup members. The iFilmGroup team came together to create some promotional material. The photo shoot/film shoot included a number of members doing some still material along with a segment that was filmed for the group’s promotional video and for workshop material. The Co-Founders of iFilmGroup; Don Hickey and Matthew Marshall were pleased with the day. The material will be used on the website as well as in other areas for promotion and showing the mission and vision of the group. 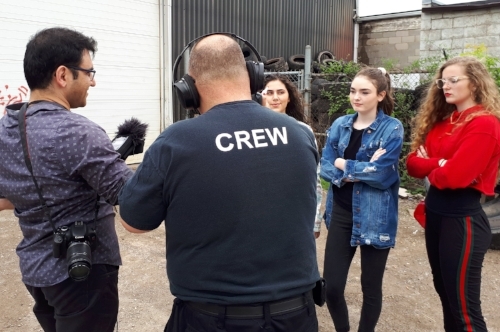 The still shots involved Anna Victoria, Maysee Mclean, Chassidy Fleming, Devyn Carver and involved iFilmGroup's Community Engagement Manager: Don Hickey. Still shots were taken by Matthew Marshall and iFilmGroup's still-photographer Reza Khazaee.